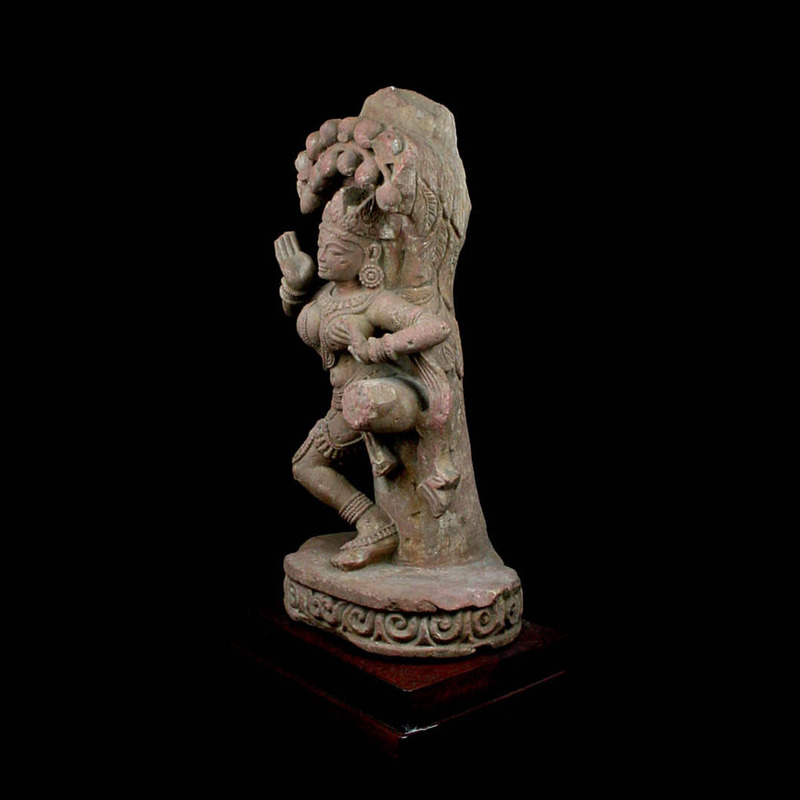 ﻿ Exclusive Items : An Indian sandstone sculpture of a celestial dancer. 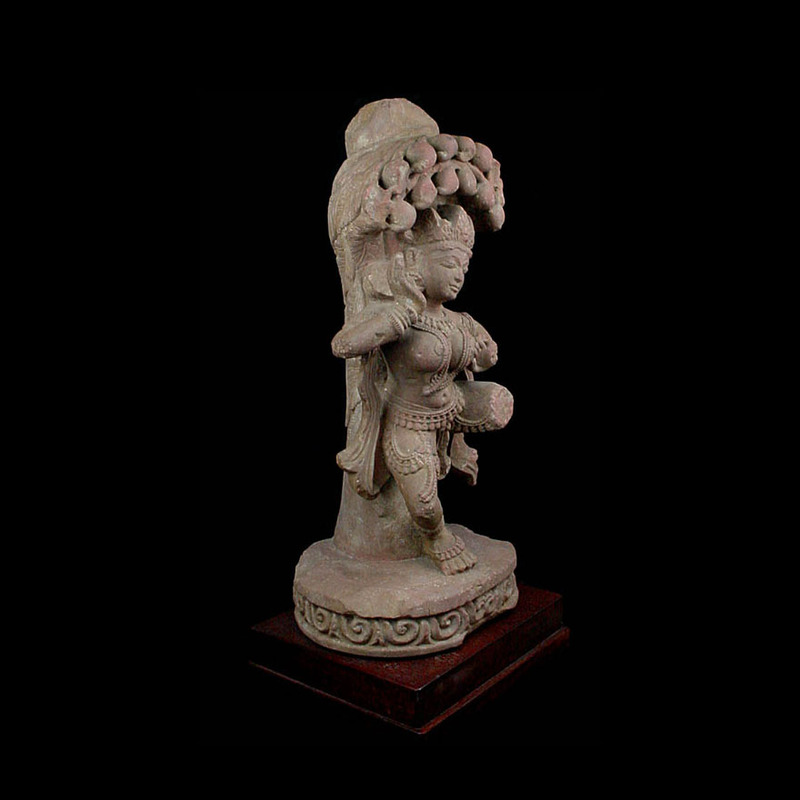 An Indian sandstone sculpture of a celestial dancer. 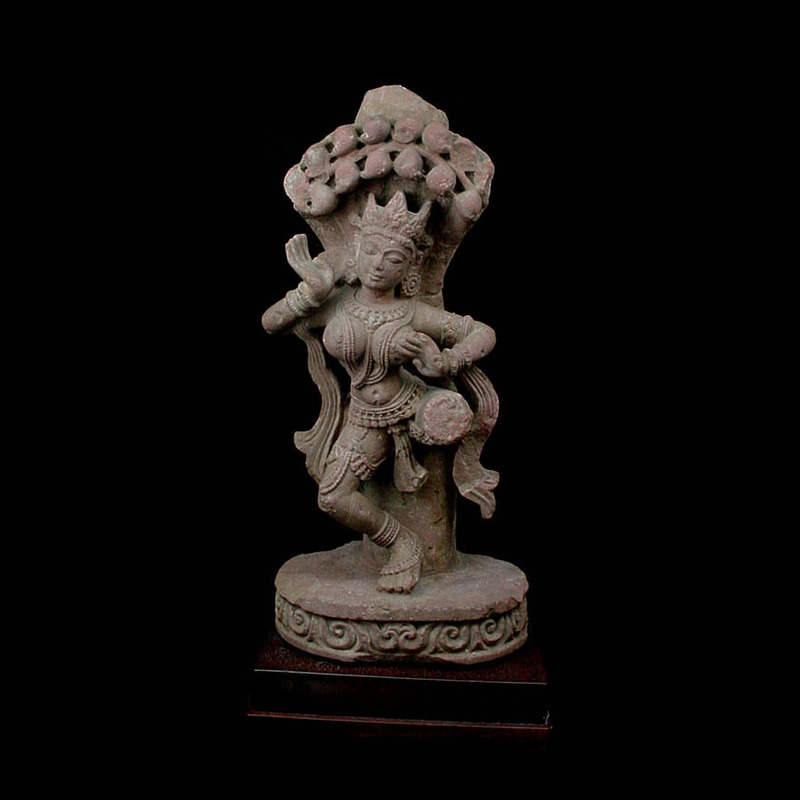 An elegant sandstone carving of a dancing Devi. An elegant sandstone carving of a dancing Devi. Classic voluptuous form, heavily adorned wearing an array of beaded ornaments, surmounted by a jewelled crown. Standing in a graceful dance pose beneath a mango tree bursting with ripe fruit. Due to the size or weight of this item, please contact us directly if you are interested in purchasing it. Ancient loss evident, in overall excellent condition. Presented on a wooden display base.